Doorstuff are excited to offer a 10% discount on the entire Panic Hardware range! The discount is only available for a short time from the 11th to the 16th February and customers must use the discount code at the checkout to obtain the lowered price. 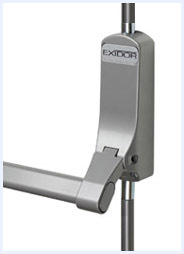 Doorstuff stock a range of exceptional British-made panic hardware for fire escape doors by Exidor. If you need information or advice on which panic hardware is right for you, call our technical team on 0207 099 2822. This entry was posted in Offers, panic hardware and tagged 10% discount, discount, discount code, exidor, Offer, panic hardware. Bookmark the permalink.